In this 11-day course, you will be guided to acknowledge the ancestral patterns that have shaped your life, and you will receive teachings and support to let go and release unhealthy patterns for you and to embrace choices that are whole, healing and empowering. When you heal, the generations past and before you heal too. Are you tired of repeating the same patterns or fears in romantic relationships? Are you frustrated with always playing the same role in your work or team environment, and feel that this is holding you back in some way? Would you like to create a new dynamic in your family relationships? As I have focused on personal and spiritual growth over the past 19 years, I have sometimes struggled with habits and patterns that I couldn't seem to overcome no matter how much effort I put in. What I have discovered is a greater access to healing and freedom when I attend to the root of the issue in myself, and to address the family patterns that are a part of my challenge. Sometimes the change that we are trying to make, is to turn the tide on a deeply grooved pattern of our ancestors, which is a significant shift. This can require a lot more patience and self-compassion. What I have also found is that our ancestors want our healing; they support our evolution, and they want us to grow. Our healing is their healing. We are truly all in this together, and you can call upon your ancestors for their energetic support for the changes you need to make, to release old patterns, to free yourself to be more you, and to open yourself to love in the past, present and future. 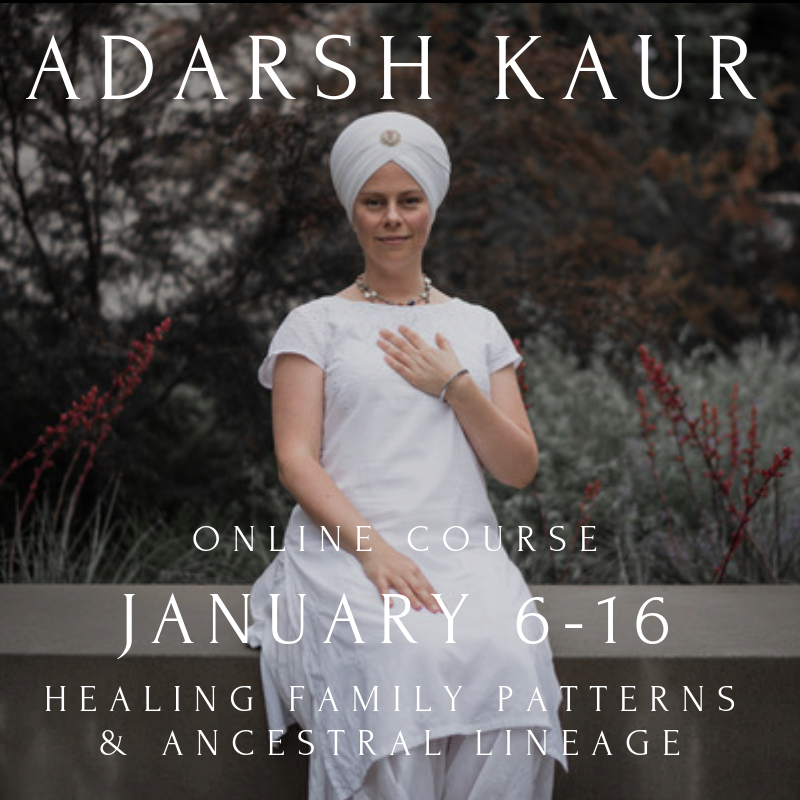 I designed this course as a way to support you in connecting with your ancestors for healing in your relationships with them, and in the patterns that affect your life. Together we will practice daily a powerful, prayerful and gentle 11-minute moving meditation for 11 days. There will also be time for contemplative journaling, and sharing with the group for reflection and support. Each day I will share inspiration and guidance for the group, as we journey together. I will also check in twice daily with the Facebook group, to respond specifically to any questions you have, and to provide additional support. I will lead two Facebook live events for this group only, which will be me doing this complete practice, so that you can follow along if you like, and at the end of the practice, you will have the opportunity to ask questions and to connect. There will also be two live video calls (which will also be recorded for the group), where I will share more about my experience and practice, and offer you the space to share your experience, and to voice your discoveries and process. This act of sharing in a safe group is an important part of the healing process. We will begin on Sunday, January 6th, with the new moon to guide this new path of our healing together and plan new seeds for future generations. *The Facebook group will also remain open active for 40 days total (through February 14th) for you to continue to practice and reflect as much as you like, as an optional continuation. As we heal our own families, we support other families with their needs. We are creating a better tomorrow for all people. "Adarsh was a gentle and wise guide for this 11 day journey of healing family patterns. The shorter time commitment easily fit into my schedule and each component (journaling, practice, sharing) added more depth and insight to the experience. This offering was a beautiful, heart-opening beginning to the healing that I am inviting into my family. And I loved the Akaal prayer so much I am going to continue for at least 40 days!"